Gatton Jubilee Golf Club Gatton Jubilee Golf Club in SE Queensland is a haven for Australian native birdlife, colourful parrots of many kinds included. The 5024 metre, 18 hole course is set over two sides of the roadway, with the front nine on sloping land and the back nine on flat. Fairways and greens are kept in good condition and the course offers some challenging and interesting shots, particularly from the front nine. Gatton has a practice fairway and clubs, buggies and carts are available for hire. main competitions are on Saturday mornings. Lunch is available at the clubhouse most days. Visitors are welcome; bookings requested. Genesis Fitness Clubs commenced operations as a Health and Fitness Club in Ringwood, Victoria, in 1997 offering health and fitness classes for weight management and other health issues. Since this time, Genesis has developed into one of Australia?? ?s premier fitness organisations. Genesis is driven & ambitious in supporting our members and members??? goals. A local activist within the local community, Genesis aim to be the catalyst that unites and inspire our local community to be fitter and healthier than ever before. Genesis - Helping you and your community to a healthier living. Get Fit to Golf (GFTG) is an internet company that develops and integrates innovative and advanced online technology and software solutions into user friendly, cost effective and real-time remedial products for the golf, sport, lifestyle, health and fitness industries. GFTG focuses on the optimization of golf biomechanics for the purpose of improving the golf swing and enhancing golfer?? ?s performance, both amateur and professional. The result is better training, injury prevention and treatment through our cost effective and user friendly solutions to costly health and fitness problems. Chiropractor Ron Burke DC.DO founded the company and is the creator of the unique ChiroFit??? Program, an online interactive golf biomechanics analysis and diagnostic system that produces a tailor-made biomechanics remedial training program. GFTG is conducting R&D on an advanced addition to the system involving real-time EMG sensor biofeedback on muscle groups, posture and biomechanics during a golf swing. 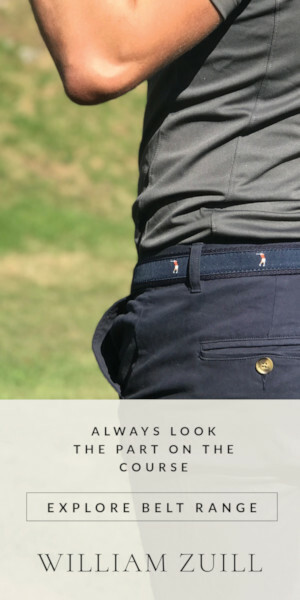 Golf Gear Australia is a family owned company founded in 1999 and it has forged alliances with some of the most famous brands in the golfing world to make those brands available to the Australian and New Zealand public. Our commitment is to provide customers with the most innovative golf products, the most reliable customer service, and the greatest value in the golf retail industry. With brands such as SnakeEyes, Fireform, Rookie, Onyx and Copely, Golf Gear Australia is at the forefront of technical advancements in a game continually evolving. Located on Queensland's Gold Coast with a warehouse full of a huge range of products, from tees and accessories to full sets and bags, we will supply almost everything for your golfing needs. As well as our own brands Golf Gear Australia also distribute for some of the worlds leading component makers including Golfsmith, True Temper, UST, Grafalloy and Golf Pride. 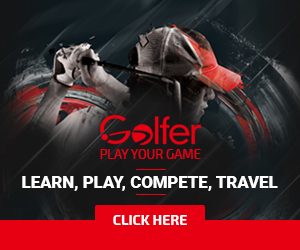 Golf Traders offer the largest selection of used golf clubs in Australia. Golf Traders buy, sell, swap and trade used golf clubs, and they are Australia's leading second hand golf club specialist. They will also refurbish your clubs. Golf Traders has perfected the art of making your used club look and feel like new. See their website link below for more information. Golfzone Golfzone is Australia's leading online Golf store, headed by John Lyons, passionate golfer and Exec Producer and co-host of the long running GolfZone Television programme, aired on Community TV around Australia.